One of my absolute favorite snack foods is arare, or rice crackers. I especially love the super soy-sauce drenched kind they only make in Hawaii. 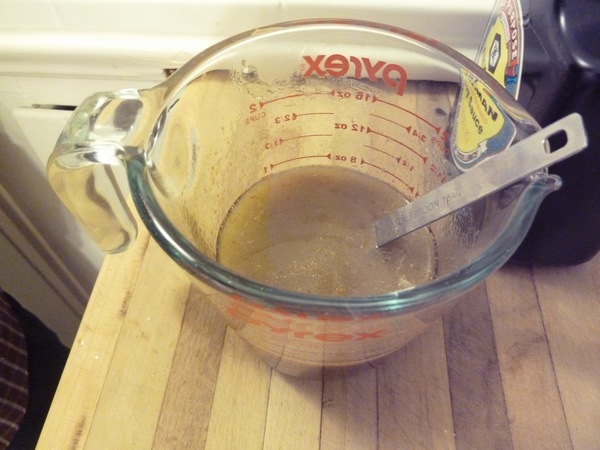 So when I found a recipe for makeshift arare in our church cookbook, I had to try it! 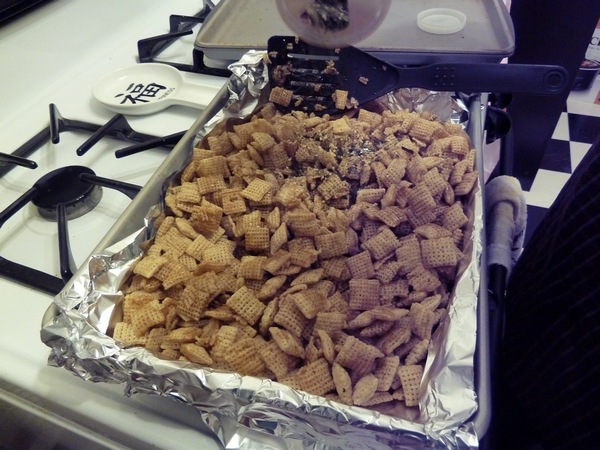 It uses rice Chex cereal as a base, which is perfect! 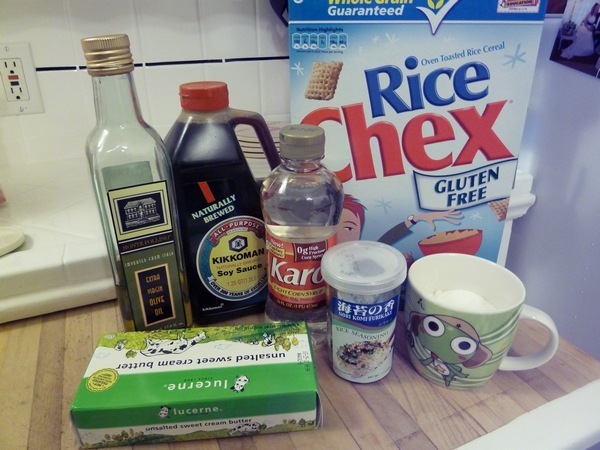 Other ingredients are: oil (it called for veggie oil but I only had olive on hand), soy sauce, corn syrup, furikake (I used plain salt and nori kind), sugar and butter. 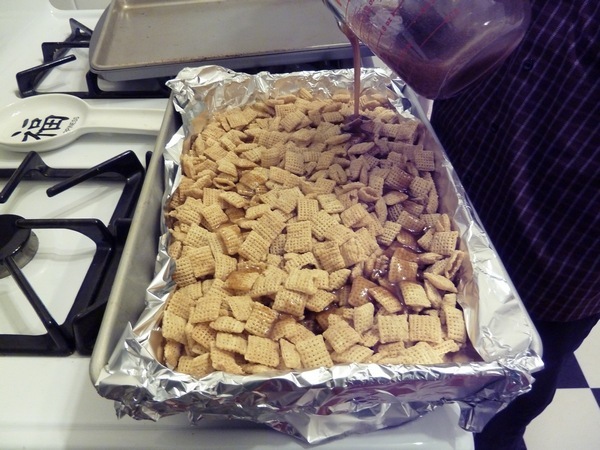 Here's a very close recipe I found online, though ours didn't include corn Chex. Melting the butter and mixing up the ingredients was pretty nasty. Butter and soy sauce don't normally go together! And mix it together with the furikake! Then we toasted the cereal in the oven at a low heat for an hour. Every fifteen minutes we'd take it out and mix it up again to keep it even. This stuff is seriously addicting. Salty and sweet and crunchy! Yum! We made a batch at Thanksgiving, and since it makes such good party food, we'll be making more for Christmas I'm sure! 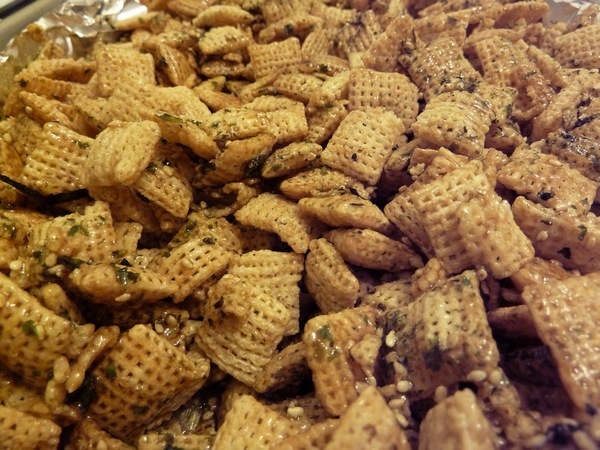 Do you have a favorite Chex cereal recipe? I have one more box to use up! Starring this! Right up my alley. Sounds so yummy! how savory and delicious does that sound--yum! sweet and salty- I'm in! Someone is heading to the asian market in about 2 hours just to buy ALL THE THINGS to make this. Looks delicious and addicting! PERFECT. This sounds pretty amazing! 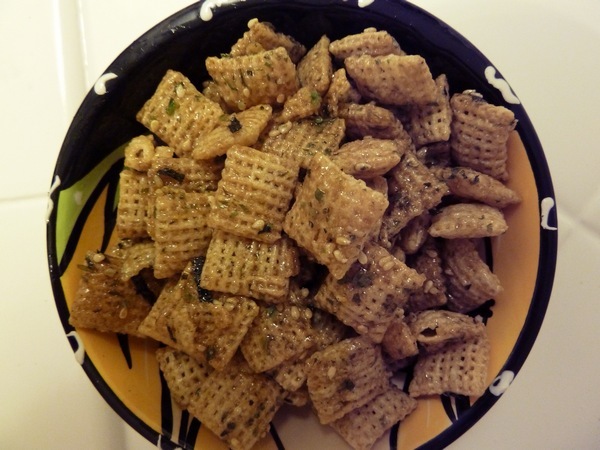 I love chex mix in any form! holy crap! I must have it! I must I must I must. I am for real making this. Thanks for sharing.